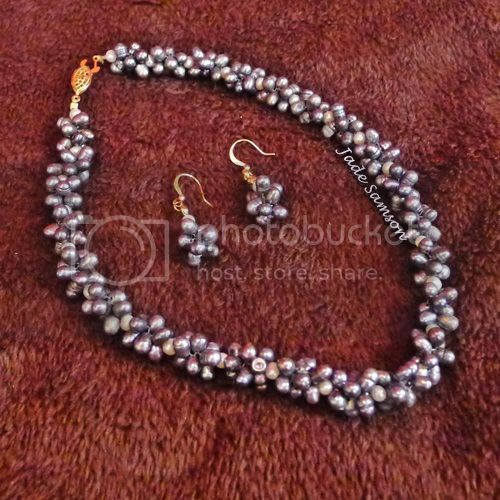 Pasko sa Agosto: Black-Gray Pearl Necklace & Earrings Set Giveaway from Diva Fabulosa! I have recently discovered my love for accessories, and when I found out that Diva Fabulosa is giving away a black-gray pearl necklace and earrings set, I just couldn’t say no. We all know that accessories have the power to transform an otherwise simple outfit, and those are exactly what I need. Most of what I have in my closet are simple outfits because I’m a work-at-home mom, which doesn’t require me to dress up. This black-gray pearl necklace and earrings set would be perfect when I’m attending blog events or parent-teacher conferences in my son’s school or simply meeting up with friends. I really hope I win! This entry was posted in Blog Giveaways, Diva Fabulosa, Pasko sa Agosto, Pearl Necklace & Earrings Set. Bookmark the permalink. 2 Responses to Pasko sa Agosto: Black-Gray Pearl Necklace & Earrings Set Giveaway from Diva Fabulosa! I have always been so fond of pearls.. more so the black ones. I simply find them elegant. ← Chocolates Are Bad for Your Teeth, Daddy!